Ensures that physical educators are fully armed with a comprehensive plan for incorporating instructional models in their teaching! 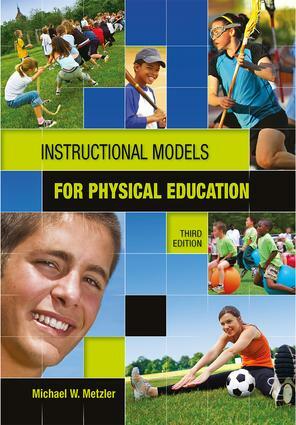 Instructional Models for Physical Education has two primary goals for its readers. The first is to familiarize them with the notion of model-based instruction for physical education, including the components and dimensions that determine a model's pattern of teaching and how to select the most effective model for student learning in a particular unit. The second goal is to describe each of the instructional models in such a way to give readers enough information to use any of the models with confidence and good results. The book includes everything readers will need for planning, implementing, and assessing when teaching with instructional models. It will help readers incorporate research-based practices in their lessons, adapt activities to include students of varying abilities, and teach to standards. Models tied to NASPE standards! The author has revised the third edition to show how using the instructional models can help teachers meet specific NASPE standards. The book demonstrates the connection of NASPE standards with the models and clarifies that connection for students. In addition, a table in each of the model chapters shows explicitly how the model aligns with NASPE standards. 12 Peer Teaching: "I Teach You, Then You Teach Me"
Michael W. Metzler is a professor in the Department of Kinesiology and Health at Georgia State University, US, where he is the coordinator of the Health and Physical Education graduate program. His areas of research and scholarship include teaching and instructional models; and research on teacher education programs, with an emphasis on program assessment. His teaching expertise is in the areas of instructional models for physical education, research methods for teaching and teacher education, and the history and principles of physical education. He has served as a consultant for physical education teacher education programs in Singapore, Japan, Canada, Israel, and Turkey. Metzler has authored or co-authored nine books. In addition, he has co-edited and co-authored three research volumes in the Journal of Teaching in Physical Education (JTPE) and has published more than thirty refereed research and topical articles in journals such as The Journal of Teacher Education, Teaching and Teacher Education, and Quest. In 1981, he was one of the founding co-editors of JTPE, which is now the leading research journal in physical education pedagogy and teacher education, worldwide. Metzler is the Past President of the National Association for Kinesiology and Physical Education in Higher Education (NAKPEHE), having served fom January 2010 until January 2011. In October 2009, he was inducted as a Fellow in the American Academy of Kinesiology and Physical Education.